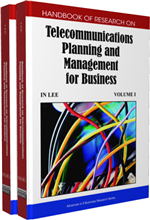 The objective of this chapter is to discuss the applications, state-of-the-art technologies, planning methods and business models for wireless community networks and provide an integrated presentation of these essential parts with examples. After a short introduction we give an overview about the stateof- the-affairs of wireless community networks presenting the driving forces, stakeholders, services and built upon applications in some carefully selected projects. Then, we discuss the technological aspects and suggest a design methodology for planning wireless community networks. The application of this methodology is illustrated via an ongoing digital city project in Hungary. After this we analyze the relevant business models. And finally, before concluding the chapter we give a short outlook discussing the future trends of the area. Broadband access to citizens, communities, public institutions and developing businesses is a natural need today. However, there is no a straightforward way to provide broadband access to these users. Although today’s technologies (from ADSL via fiber-to-the premises to broadband wireless access) are appropriate for this purpose, telecommunication companies cannot afford their deployment and serve these users due to the large costs and very long return on investment (ROI) period. As an alternative, a so-called community network (CN) can be created and deployed by governments and international organizations worldwide serving strategic purposes, too. Community networks are able to foster economic development, help startups grow, bring new businesses into the region and can alleviate also the problems related to the digital divide. Reflecting these objectives a huge number of community network related initiatives have been launched recently in North America as well as in Europe. Community network infrastructures can be built by using the common technologies in telecommunication companies’ networks. Fiber has been an attractive solution for many cities, first of all in North America. Building a fiber network is technically viable where a local government or some of its utility companies own ducts and support structures forming “free” assets. However, for economical feasibility it is necessary to have a few large customers, such as ISPs (Internet Service Providers), which use and pay for a substantial share of fiber capacity. On the other hand, wireless technologies (e.g., Wi-Fi, WiMAX or 3G mobile) are almost always appropriate for building community networks because they are relatively easy to install, expand and operate in a cost effective manner. Planning, deployment and operation of community networks have been challenging tasks. As opposed to telco networks, there is a specific set of services that the city or region wants to implement. These services and built upon applications are to be made accessible for a wide range of geographically diverse users regardless their locations. Moreover, cities can more freely choose communication technologies, including emerging ones, as they do not have the stringent business requirements the telecommunication companies have to meet, such as short ROI or totally risk-free adaptation of new technologies. However, suitable business models have to be defined with clever constructions of involving both the public and private sectors, while satisfying legal and regulatory requirements. The objective of this chapter is to discuss the applications, state-of-the-art technologies, planning methods and business models for wireless community networks and provide an integrated presentation of these essential parts with examples. This integrated approach has been rarely found in the technical literature. Our previous works (Szabó et al., 2007; Szabó et al., 2008) address the issue of wireless community networks. A recent edited book (Chlamtac et al., 2005) attempts to bring together the most important aspects – technical, legal, regulatory and economic – of community networks into one book. Within the framework of an ongoing European Network of Excellence project called OPAALS (OPAALS, 2008), the social side, information technologies and economic models are being investigated by a large inter-disciplinary international team, also putting community networks in a wider context of digital ecosystems and digital business ecosystems. PPP: Public-Private Partnership, a form of business co-operation between public and private entities. Community Network: The combination of the telecommunication infrastructure, the services provided upon it and the specific business model to operate the infrastructure and provide services. Digital City: Initiative of the municipality to implement a city-wide network infrastructure and public/private services upon it. Digital Divide: The gap between people with effective access to digital and information technology, and those without access to it. WiMAX: Worldwide Interoperability for Microwave Access, an emerging wireless technology and a flexible telecommunication architecture based on the family of IEEE 802.16 standards. ROI: Return On Investment, the period in time until the invested money returns back. Wi-Fi Mesh: Wireless-Fidelity mesh, a peer-to-peer multi-hop network topology based on the IEEE 802.11 standard family, where the nodes cooperate with each other to route information packets through the network. Business model: Describes a broad range of informal and formal models that are used by enterprises to represent various aspects of business, including its purpose, offerings, strategies, infrastructure, organizational structures, trading practices and operational processes and policies.